The power of facial recognition has knocked at my door. 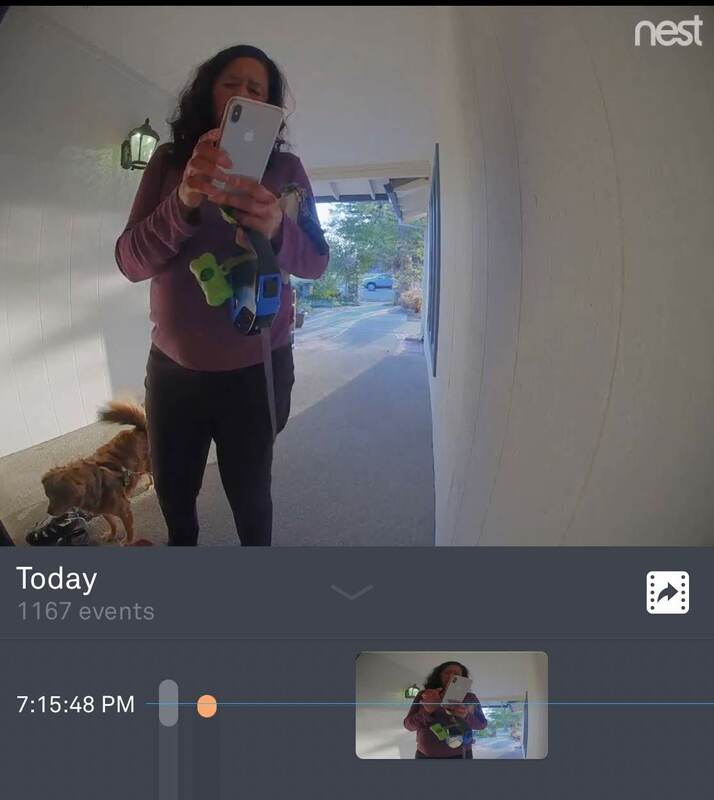 My Nest Cam IQ Outdoor sends me a notification when a stranger stops at my front door. Facial recognition has the power to transform us to tightly integrated connected communities as security cameras scale across our neighborhoods and cities. I have Nest Cam IQ Outdoors all around my home. Previously, the Nest Cam was doing machine learning to identify a human from a cat using image recognition. It now uses facial recognition to recognize faces and gives us the choice to tag people. It then can use anomaly detection to spot people who are not regular visitors and alerts us. 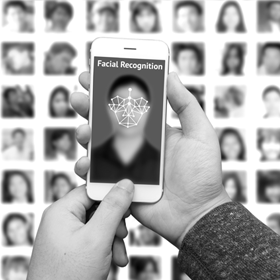 As connected cameras become more prevalent in our lives and cities, the images and videos will be used for facial recognition to identify people. This will create many opportunities and challenges. We have facial recognition in our phones and social networks. When Google Photos or Facebook tags pictures of us and maps it to our past pictures, it is training facial recognition algorithms to get better. My iPhone X uses facial recognition to open my phone. Security cameras in cities use facial recognition software to help law enforcement catch fugitives in real time. They identify people by comparing faces to a criminal database. Facial recognition is used to improve our airport experience from Lufthansa in Los Angeles and Qantas in Sydney. It verifies faces with databases to speed travel check-ins. China has taken it a step further and put cameras in schools to watch kids’ expressions to see if they appear attentive or bored during a lesson. This is an example where facial recognition can go past identifying faces to combine with machine learning to create new applications which might invade our privacy. Robots use facial recognition to identify people to provide security to banks and allow customers to check-in within seconds by scanning faces. 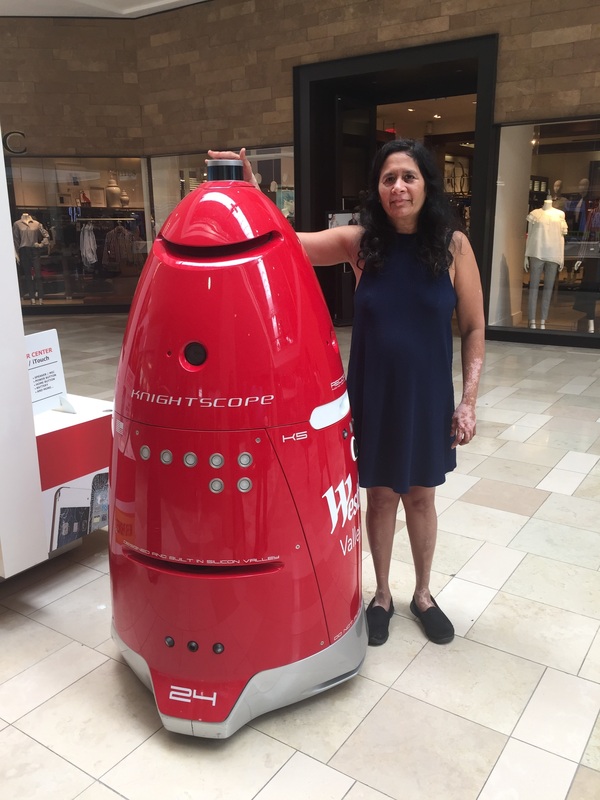 Security robots patrol corporate campuses and malls in Silicon Valley and could be used to spot intruders. Surveillance drones combine their video footage with body cameras used by the police in America. They use facial recognition to track people without their knowledge. These can protect lives and property, but today there is no transparency on what data is being stored or how it is used. Amazon offers a facial recognition software called Rekognition that was piloted by the city of Orlando. Orlando discontinued the pilot after Amazon employees protested against the algorithm being inaccurate with biases. Biases are fed into the algorithm when the training data used to improve the algorithm is biased against a certain type of people which might lead to false positives. An ACLU test showed the limitation of Amazon’s Rekognition algorithm when it mapped 28 American members of Congress to criminal mugshots and incorrectly identified them as known criminals. Privacy is a huge concern in the U.S. and Europe against using such AI software data in different situations without our permissions. In the Westfield mall in San Jose, there is a security robot called Knightscope. It looks at the faces of people to track for security violations. Since a mall is a public space, we do not know what data is captured from people and kids and what uses it will be put to in the future. Without regulation, there is no transparency on what is captured and how it is interpreted or saved for future use. What is possible in the future with facial recognition? Today, security cameras at homes and airports do facial recognition with the promise to speed up airport check-ins and to keep our homes and offices safe. As a large volume of peoples’ faces is captured, it can be used for new uses that we are not able to conceive about today. When Nest Cam has enough cameras in a community with well-trained facial recognition data, it can help with the search and rescue of missing kids or track intruders on the run. On the dark side, “eye in the sky” type of surveillance could be done by AI operating on facial recognition data. What do you think about facial recognition applications? Are you excited about them or are you concerned about big brother monitoring of our lives? Do you see some new applications for the future? Post a comment. I would love to continue the discussion. I can imagine my TV recognizing my kids just switched on the TV and immediately changed from CNN to Discovery Kids channel. I can imagine my door lock recognizing me and opens up with a voice authentication. I think there are limitless applications for facial recognition bounded only by infrastructure constraints, cost, privacy issues, and limited imagination. 1. What business problem are you solving? In this case, facial recognition is acting like your Netflix profile to switch users to their channels/contents. Is this a nice to have or must have that users will be willing to give up the data privacy concerns of having facial recognition in their homes? 2. How do you design the UX (or Human Computer Interface HCI) to make this work seamlessly? I can imagine a child running in front of the TV to get attention and having the power to switch their parent's channels to theirs. Wow. That raises the question of who is the customer and who is the consumer for this feature? I am excited for facial recognition precisely just for this. It has so much potential but offers many business challenges in design, business models and potential to change our interaction with machines.